Comment: 1050+ square foot slab on grade for wood working shop have plans in hand. requires insurance and references. Comment: Install French Drains on outside of house down one side of house. Comment: 8 by 50 ft slab in back of house has lost the dirt underneath it in places. 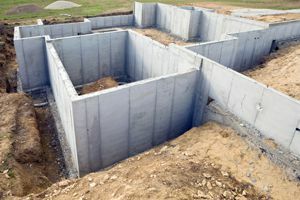 Comment: I would like to get an estimate for installing a concrete foundation. Cypress Foundation Contractors are rated 4.69 out of 5 based on 660 reviews of 37 pros. Not Looking for Foundations Contractors in Cypress, TX?